V Harikumar, who has been on the forefront of the anti-women agitation at Sabarimala, suffered a deep cut on his right knee was immediately hospitalised, local media reported. 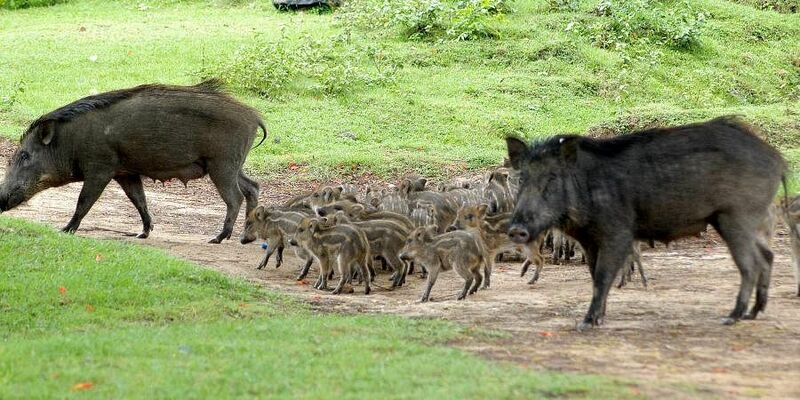 A leader of the Ayyappa Karma Samithi was attacked by a wild boar at Pampa on Wednesday morning, forcing him to give up him Sabarimala pilgrimage midway. V Harikumar, who is also a Municipal Councillor of the BJP, was chased and goared by the wild animal during his trek to the hill shrine. Harikumar, who has been on the forefront of the anti-women agitation at Sabarimala, suffered a deep cut on his right knee was immediately hospitalised, local media reported. He had to turn back without completing "Ayyappa Darshan" since he couldn't trek on the hilly path with his injured leg. The Sabarimala Karma Samithi (SKS) is the body constituted by some Hindu organisations with the backing of the Pandalam royal family, BJP and the RSS to protest the Supreme Court order allowing women of menstrual age to enter the Lord Ayyappa temple in Sabarimala - against the existing customs. Many of their campaigns had turned violent and had resulted in physical attacks on women pilgrims, journalists and police personnel. Any bets the pig was female?